WASHINGTON -- The United States has offered a reward of up to $1 million for information leading to the “identification or location” of the son of Osama bin Laden, the deceased leader of the Al-Qaeda terror organization. 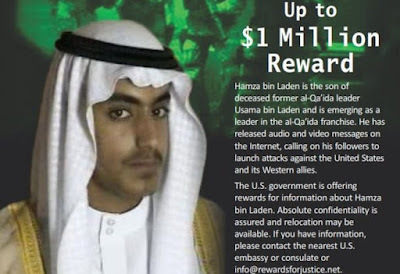 "Hamza bin Laden is the son of deceased former AQ leader Osama bin Laden and is emerging as a leader in the AQ franchise," a State Department statement said on February 28. “He has released audio and video messages on the Internet calling on his followers to launch attacks against the United States and its Western allies, and he has threatened attacks against the United States in revenge for the May 2011 killing of his father by U.S. service members,” the statement added. 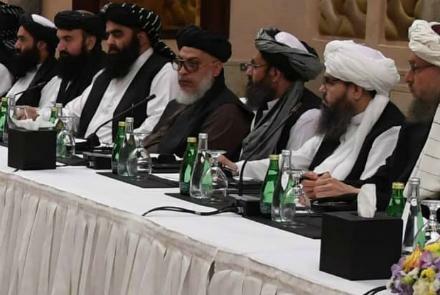 WASHINGTON — All American troops would withdraw from Afghanistan over the next three to five years under a new Pentagon plan being offered in peace negotiations that could lead to a government in Kabul that shares power with the Taliban. The rest of the international force in Afghanistan would leave at the same time, after having mixed success in stabilizing the country since 2001. The plan is being discussed with European allies and was devised, in part, to appeal to President Trump, who has long expressed skepticism of enduring American roles in wars overseas. The plan calls for cutting by half, in coming months, the 14,000 American troops currently in Afghanistan. It would task the 8,600 European and other international troops with training the Afghan military — a focus of the NATO mission for more than a decade — and largely shift American operations to counterterrorism strikes. Washington (CNN)President Donald Trump declared Thursday that US backed forces have retaken 100% of the territory once claimed by ISIS in Syria, an announcement that surprised US officials and regional allies leading the fight who told CNN the battle isn't over. "We just took over you know you kept hearing it was 90%, 92%, the caliphate in Syria, now it's 100%, we just took over 100% caliphate, that means the area of the land we're just have 100% so that's good," Trump said while addressing US troops at Joint Base Elmendorf-Richardson in Alaska on his return trip from Hanoi. But an official with the Syrian Democratic Forces told CNN's Ben Wedeman the fighting is ongoing and that they were "surprised by this statement" from Trump. The official also noted that more than a thousand civilians have left the last ISIS enclave within the last few hours. WNU Editor: At it's peak in 2014 ISIS controlled over 100,000 square kilometres of territory in Syria and Iraq (Wikipedia). They now control less than 1 square kilometre. So yes. 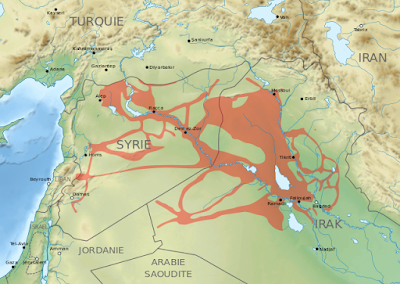 To the purists out there, President Trump should have said 99.99% of ISIS territory in Syria has been taken. But everyone knows that once the last building has been taken, the thousands of surviving ISIS fighters will still be causing mayhem in this part of the world for a long time. EIR AL-ZOR, Syria (Reuters) - The U.S.-backed Syrian Democratic Forces (SDF) will announce final victory over Islamic State in one week, SDF commander-in-chief Mazloum Kobani said in a video released by the SDF media center on Thursday. WNU Editor: The end is never pretty .... Life inside the chaos left by the Islamic State group's fall (BBC). Holly Robertson, ABC News Online: India and Pakistan seem on the brink of war (again) — but could it go nuclear? The conflict between India and Pakistan over the disputed territory of Kashmir has escalated dramatically in the last 24 hours — and the rivals are both armed with nuclear weapons. On Wednesday Pakistan's military shot down two Indian warplanes and captured an Indian pilot, raising tensions to a level not seen for decades. The attack came just hours after Pakistan accused India of firing mortar shells into its side of divided Kashmir, killing six people. The two countries have a long and complicated history, one that is not always easy to grapple with. Here's what you need to know about the situation. SEOUL (Reuters) - North Korean leader Kim Jong Un and U.S. President Donald Trump decided to continue productive talks to resolve problems discussed at their Hanoi summit, in order to bring about the denuclearization of the Korean peninsula and groundbreaking progress in the North Korea-U.S. relationship, state media KCNA said on Friday. The two leaders had a constructive and sincere exchange of views on practical issues to open a new age in improving North Korea-U.S. relations, KCNA said. 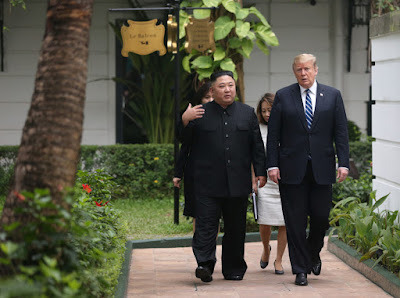 The two leaders saw that efforts and proactive measures taken by both sides to ease tension, propel peace and bring about complete denuclearization on the Korean peninsula has been gravely meaningful in encouraging trust between them and fundamentally changing the distrust and inimical relationship that had continued between the two countries for decades, KCNA said. Israeli Prime Minister Benjamin Netanyahu to be indicted on bribe and fraud charges. Gaza protest deaths: Israel may have committed war crimes - UN. IS holdout in Syria retaken in a week: commander. How thousands are leaving IS's last Syria holdout. Damascus calls on Syrians to leave camp near Jordan border. Iran power struggle continues as Zarif keeps top diplomatic post. U.S., Saudi Arabia and UK back 'global coalition' for Jordan. U.S. lawmakers press for oversight of any Saudi nuclear deal. North Korea disputes Trump’s account of talks breakdown. South Korea says failure to reach nuclear deal ‘unfortunate’. Donald Trump and Kim Jong-un cut short their nuclear summit after failing to reach deal. N Korean FM says Pyongyang seeks partial not complete sanctions relief - Reports. Trump: I 'trust' Kim's promise he won't resume nuclear, missile tests. Trump-Kim summit 2019: Xi could be ‘more helpful’, says US president. India-Pakistan conflict: Pakistan PM Imran Khan leader calls for talks after Indian Air Force pilot captured. Pakistan pledges to release captive Indian fighter pilot. India-Pakistan tensions force airlines to cancel and reroute flights. India's economy slows ahead of national election. Huge blast rocks Somali capital, killing at least five: police. South Sudan peace deal breaking up, church warns. President Buhari's win challenged by Nigeria's opposition. 29 killed as ethnic violence grips NW Nigeria. Libya rivals agree to hold polls: UN. Sudan police fire tear gas as protesters defy ban. Comoros opposition in joint call for fair vote. Mozambique sues Credit Suisse in debt scandal. Egypt train crash: Investigators say driver to blame. Activist lawyer takes big lead in polls ahead of Slovak presidential vote. Kremlin says U.S. cyberattacks on Russia are 'the reality we live in'. Russia's Putin hopes for quick settlement of India-Pakistan crisis: Kremlin. Britain's Labour Party leader backs Brexit referendum. EU angers UK with support for Spain's Gibraltar airport claims. Russia's TurkStream 2 pipeline in Bulgaria sparks EU energy worries. Sweden arrests suspected Russian spy in Stockholm. Moscow court orders US investor Calvey to stay in detention. Nazi-era mass grave discovered on building site in Belarus. Trump warns he could abandon China trade deal as advisers tout progress. SNC-Lavalin: Trudeau denies wrongdoing in corruption case. U.S. economic growth slows moderately in fourth quarter. Former Trump lawyer back in Congress for third day of testimony. Trump's ex-lawyer Cohen to return before U.S. Congress on March 6. Venezuela’s Guaido plans to go home despite safety concerns. Venezuela's Guaido vows to return to Caracas despite threat of prison. Venezuela's Guaido to meet Brazil's president in anti-Maduro push. Venezuelan politician accuses Maduro's regime of sneaking 8 tons of gold worth more than $300 MILLION from country's central bank to sell it on the international market. Venezuelans cross into Colombia despite border closure. Nicaragua resumes talks over political crisis after long delay. Nicaragua talks on crisis begin, dozens of prisoners freed. Trump surprises allies, claims US-backed forces reclaimed 100% of ISIS territory in Syria. Trump wrongly says Islamic State holds no land in Syria. Mass grave with dozens of decapitated bodies found in last ISIS enclave: 'They were slaughtered'. Germany investigates why deported 9/11 terrorist was given prison wages. Defence sums up in Brussels Jewish museum terror trial. U.S. stocks edge downward as Wall Street takes a pause. Tesla launches long-awaited standard Model 3 starting at $35,000. US defeats China at WTO in vast grain-subsidy case, after accusing Beijing of US$100 billion price propping. ‘Painful’ enforcement ahead for China if trade war deal is reached with US insisting on unilateral terms. Huawei units plead not guilty to U.S. trade secret theft. The move could save more than $30 billion over 25 years to invest in high-tech weapons -- but Congress is sure to explode in outrage. 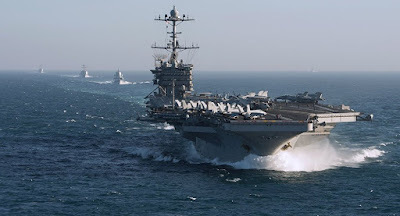 UPDATED with additional comment WASHINGTON: Amidst rising anxiety over whether the US Navy’s thousand-foot-long flagships could evade Chinese missiles in a future war, the Pentagon has decided to cut the aircraft carrier fleet from 11 today to 10. North Korean officials made a rare appearance on Thursday after President Trump departed Vietnam to publicly dispute aspects of his claims about the breakdown in talks. Foreign Minister Ri Yong-ho said the country asked for 'partial sanctions' relief, primarily in the areas harming North Korean citizens and affecting their livelihoods. In return, Pyongyang offered to 'permanently' close its plutonium and uranium facilities in the Yongbyon region in the presence of U.S. inspectors. He said North Korea asked the U.S. to lift sanctions corresponding with five United Nations resolutions adopted between 2016 and 2017. Ri claimed that his proposal was the 'biggest' offer North Korea could make based on the 'current level of confidence' between the country and the United States. WNU Editor: North Korea never calls for a press conference, albeit this one was more to deliver a statement. There is more at play here than what we know. On a side note. Foreign Minister Ri Yong-ho's deputy Choe Son-hui clearly looked pale and ill on what had just happened. United Nations investigators said on Thursday Israeli security forces may have committed war crimes and crimes against humanity in killing 189 Palestinians and wounding more than 6,100 at weekly protests in Gaza last year. The independent panel said it had confidential information about those it believes to be responsible for the killings, including snipers and commanders. "The Israeli security forces killed and maimed Palestinian demonstrators who did not pose an imminent threat of death or serious injury to others when they were shot, nor were they directly participating in hostilities," it said in its report. Israel rejected the report as a "theatre of the absurd". Decision could severely damage Israeli PM’s chances in next April’s general election. Israel’s attorney general intends to indict the country’s prime minister, Benjamin Netanyahu, in three corruption cases, the Justice Ministry has said. The decision comes just six weeks before the Israeli general election, and the announcement could severely damage Netanyahu’s chances in a tight race. Avichai Mandelblit’s long-awaited announcement signals his intent to prosecute the prime minister with criminal wrongdoing in all the cases against him, in which he has been accused of bribery, fraud and breach of trust. WNU Editor: Israeli PM Netanyahu is calling this indictment a witch-hunt .... Netanyahu dismissed corruption allegations as baseless 'witch-hunt' (Reuters). The 57-year-old incumbent received 58.27 percent of Sunday's vote, which observers say had no major irregularities. Senegalese President Macky Sall has won re-election without the need for a second round of voting, the country's electoral commission announced on Thursday. Following the announcement, Idrissa Seck, the opposition candidate and runner-up in the race, said he will not appeal the election results. Seck had previously said that his camp's results showed Sall not winning enough votes for re-election in the first round. 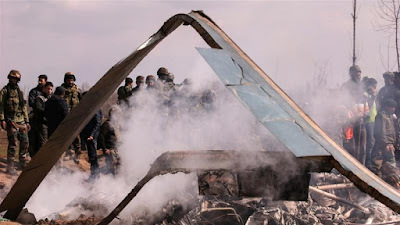 IAF Air Vice Marshall RGK Kapoor told reporters, at a press conference on Thursday, that an Indian MiG-21 Bison shot down a Pakistani Air Force (PAF) F-16 one day earlier. The F-16 was one of several that attacked Indian military bases, Kapoor said. WNU Editor: American F-16s. American missiles. The U.S. gave this military aid to Pakistan to combat the Taliban and other extremists on the Afghan-Pak border waging war against the Afghan government. And critics were complaining that this military aid would only be used against India. It looks like the critics were right. Pakistan has approached China to mediate in its conflict with India, saying it hopes Beijing can play a constructive role in easing the tensions. 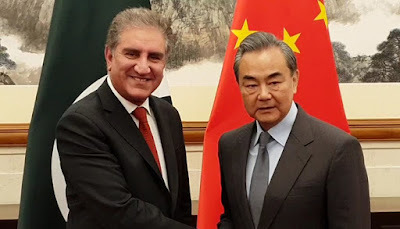 The request was made late Wednesday night in a phone call from Pakistan’s Foreign Minister Shah Mehmood Qureshi to his Chinese counterpart Wang Yi, according to a statement published on the Chinese foreign ministry’s website on Thursday. Qureshi told Wang about the latest developments in the conflict and expressed his hope that Beijing would continue to play a role in helping to resolve it, the statement said. Wang was quoted as saying he hoped “both Pakistan and India would exercise restraint to prevent an expansion of the situation”, reiterating comments he had made the previous day. WNU Editor: China's influence over India is very limited, and Pakistan knows that. What Pakistan wants is China's diplomatic support and (maybe) some military assistance. But here is an easy prediction. China is not going to get involved. Pakistani Prime Minister Imran Khan said on Thursday that his country would release a captured Indian pilot "as a peace gesture." Speaking to Pakistani lawmakers in parliament, Khan said the pilot, identified as Wing Commander Abhinandan Varthaman, would be released on Friday. Khan also said that he tried to reach out to his Indian counterpart, Narendra Modi, to de-escalate tensions between the two countries. Khan's comments came after Modi said that "India's enemies are conspiring to create instability in the country through terror attacks." President Donald Trump defended his decision to walk away from his North Korean nuclear summit without a deal in an interview Fox News host Sean Hannity from Vietnam that will air on Thursday evening in the United States. Trump said he wasn't 'satisfied' with the outcome and he suspects that Kim Jong-un 'wasn't satisfied,' either. Former Trump lawyer back in Congress for third day of testimony. Nicaragua resumes talks over political crisis after long delay. 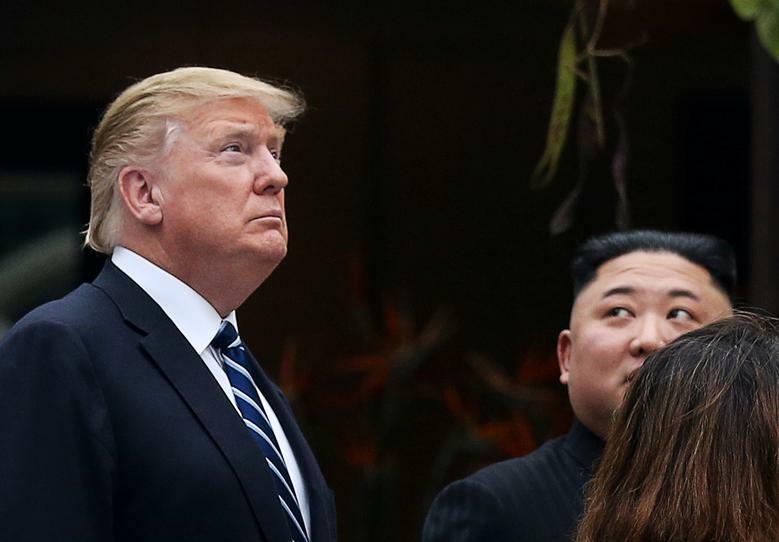 After the US-North Korea summit talks in Hanoi ended abruptly, President Donald Trump said his stumbling block with Kim Jong-un was over one key point: What North Korea would get in exchange for disabling its Yongbyon nuclear facility. Yongbyon is the site that produces material that could be used in North Korea's nuclear weapons. Long ahead of the Hanoi talks, rumours have swirled that Pyongyang could offer to shut Yongbyon, or parts of it, in exchange for sanctions relief. Melissa Hanham, defence expert at One Earth Future, explains the notorious site which is the heart of North Korea's nuclear programme. 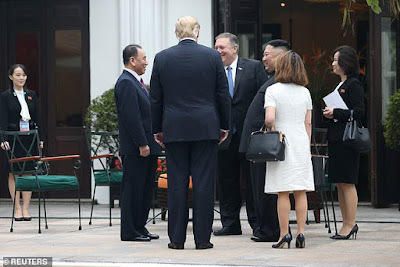 President Trump may have hit a roadblock when North Korea's Kim Jong Un refused to meet his demands at Thursday's Hanoi summit, but Trump’s decision to walk away could serve to rattle China’s Xi Jinping. Gordon Chang, an expert on the region and author of “The Coming Collapse of China,” argued that what on the surface looked like a diplomatic stalemate could in fact be a diplomatic coup for Trump when it comes to North Korea's neighbor. “I think this is a moment of reassessment for China,” Chang said. WNU Editor: Darn!!!! I was about to write a post saying the same thing, but Gordon Chang beat me to it. The above analysis is spot on. 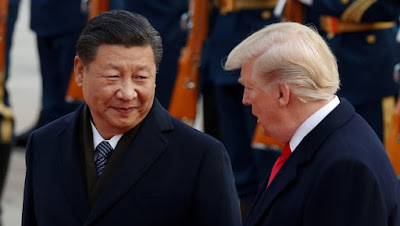 President Trump is sending a very clear message to Chinese President Xi that by walking away from the nuclear talks he is also willing to walk away from current trade talks if China continues to not wanting to compromise on their trade policies. I am also willing to bet that the U.S. is going to ratchet the pressure on North Korea by ratcheting up the pressure on their chief ally China via through trade to do something about it. Bottom line .... I do not need to contact my friends in China to know what is happening. I know enough to know that right now there is a huge reassessment in Beijing on what to do next when it comes to President Trump. Update: Yup .... Trump-Kim summit 2019: Xi could be ‘more helpful’, says US president (SCMP). Much excitement, no progress — a predictable outcome. It was already clear in advance that the outcome of the Hollywood-style meeting between US President Donald Trump and North Korean leader Kim Jong Un would not live up to its political symbolic meaning. The fact that the two opponents met for talks at all was mainly for domestic political reasons on both sides. Kim wants to prove to his followers that he can force the "capitalist arch-enemy" to have direct talks at eye level. His risky escalation strategy has helped the young politician to appease hardliners in the party and army and to expand his power. North Korean dictator Kim Jong Un kept his trusted sister close by Thursday as he met with President Donald Trump for their historic nuclear summit in Vietnam. Kim Yo Jong was seen standing close by, watching on from the sidelines as the two world leaders greeted each other in Hanoi. Kim and Trump resumed their summit on Thursday morning local time – as the U.S. president predicted a 'fantastic success' but the North Korean dictator said it was 'too early' to say they would reach a deal. Experts say Kim Yo Jong functions as her brother's chief of staff, managing his engagements, offering trusted advice and acting as a gatekeeper. WNU Editor: As I have mentioned before, Kim Yo Jong is always her brother's shadow. She is also (in my book) the second most powerful person in North Korea. If you want to meet Kim Jong-un, you will have to go through her. She is also always on the sidelines looking at everyone. I am willing to bet that after every meeting where she is there .... and she is always there for the important meetings .... she tells her brother later on how the people in the room were reacting to his remarks and comments. North Korean leader takes questions from foreign reporters during his summit with US President Donald Trump in Hanoi. Some 3,000 journalists from 40 countries descended this week in Vietnam's Hanoi to cover the second summit between North Korean leader Kim Jong Un and US President Donald Trump. On Thursday, at the start of the second day of high-stakes talks on denuclearisation, one of them shouted at the North Korean leader. "Chairman Kim, are you confident?" David Nakamura, of the Washington Post, asked as the two men sat down before a one-on-one session. What followed was almost certainly unprecedented. "It is too early to tell. I would not make a prediction," Kim said, after leaning back slightly to hear his interpreter's whispers. "But my instinct is that good results will come out," he added in his typically gravelly voice, in what was believed to be his first ever response to a foreign journalist. WNU Editor: Not to be outdone. President Trump took a question from a Russian news agency .... Trump dares take question from RUSSIAN media, world stops turning (RT). HANOI (Reuters) - South Korea said it regretted that no deal was reached at a summit between North Korean leader Kim Jong Un and U.S. President Donald Trump on Thursday but the two sides had made meaningful progress. Trump said he had walked away from a nuclear deal at his second meeting with Kim, in Vietnam, because Kim had made unacceptable demands on lifting biting U.S.-led sanctions. South Korea’s presidential office, known as the Blue House, said in a statement Trump and Kim made “more meaningful progress than ever”, and Trump’s willingness to continue dialogue would brighten prospects for another meeting. WNU Editor: My South Korean contacts and friends are telling me that the onus is now on South Korea to continue the dialogue with North Korea, and to continue the process of talks and de-escalating tensions. I agree, and I expect the Chinese will also become more engaged to find common ground to continue the goal of denuclearizing the Korean peninsula. 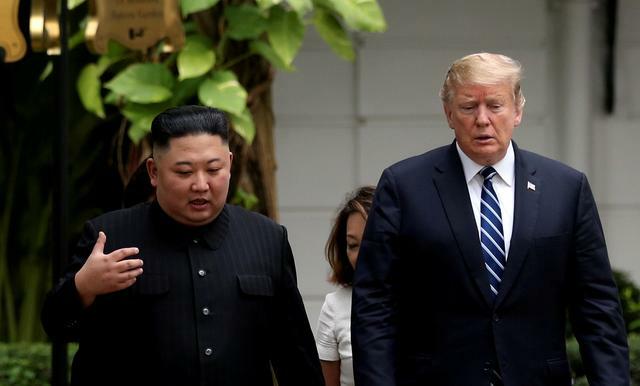 Donald Trump's talks with Kim Jong-un ended abruptly on Thursday as the president said he was forced to walk away after the North Korean dictator demanded that all sanctions be lifted in return for giving up only some of his nukes. Trump said the final snag that caused the sudden breakdown was over sanctions – and Kim's push to have all of them lifted in exchange for a concession Trump and his secretary of state could not live with. 'Sometimes you have to walk away,' Trump told reporters at a press conference in Hanoi that was abruptly moved up after a breakdown in talks. WNU Editor: No one said this was going to be easy. Expect a flurry of action from diplomats in the next few months .... Burden back on diplomats as Trump and Kim fail to reach North Korea deal (Reuters). I also expect China and South Korea will be stepping in. Jody Wilson-Raybould says she faced intense political pressure and veiled threats related to the SNC-Lavalin affair, and was warned directly by Prime Minister Justin Trudeau about the negative consequences if the company faced prosecution. It was a day of high political drama, as the former justice minister and attorney general accused top Liberal government officials of inappropriate, excessive political interference in an independent criminal prosecution, and the opposition parties called for Trudeau's resignation and a public inquiry into the scandal. WNU Editor: First things first. For those who may not know, I live in Canada and I have been watching this story very closely. And yesterday was quite a day. I watched two individuals giving testimony to elected officials .... former Trump lawyer Michael Cohen in the morning and former Canadian Minister of Justice/Attorney-General Jody Wilson-Raybould later in the afternoon. It took me about 15 minutes of listening to Michael Cohen to realize he was not (and is not) a credible witness. As for former Canadian Minister of Justice/Attorney-General Jody Wilson-Raybould's testimony, she was the exact opposite. She was forthright, meticulous, factual, backed by evidence and witnesses. She outlined how the Prime Minister and his aides put pressure on her to alter a criminal investigation, with the Prime Minister himself being blunt to her that the Justice Department "must find another solution" because it would impact his political prospects in the province of Quebec. She refused, and (she believes) was the reason on why she was fired as Attorney General. The reaction that I have heard from those who I trust when it comes to Canadian politics is one of shock. We basically learned yesterday that there is a two tier system of justice for this government, and friends of the Prime Minister will be protected. My prediction. The impact of her testimony on Prime Minister Trudeau and his government are going to be severe and consequential when Canadians go to the polls later this year. And even though the government and the Prime Minister are now making the case this morning that they were only trying to protect jobs, in my opinion they are not being persuasive. My prediction. A criminal investigation on what has happened is now warranted. And as for Prime Minister Trudeau's prospects for this year's election, they are in deep trouble. The Liberal base that Prime Minister Trudeau needs to go to the polls are going to stay home.